We've been hard at work over the last few weeks coming up with some great new printable designs for our wedding stationery shop, so today I wanted to share a couple of our new products that are perfect for a antique styled wedding. At the top, vintage subway sign wedding invitation. 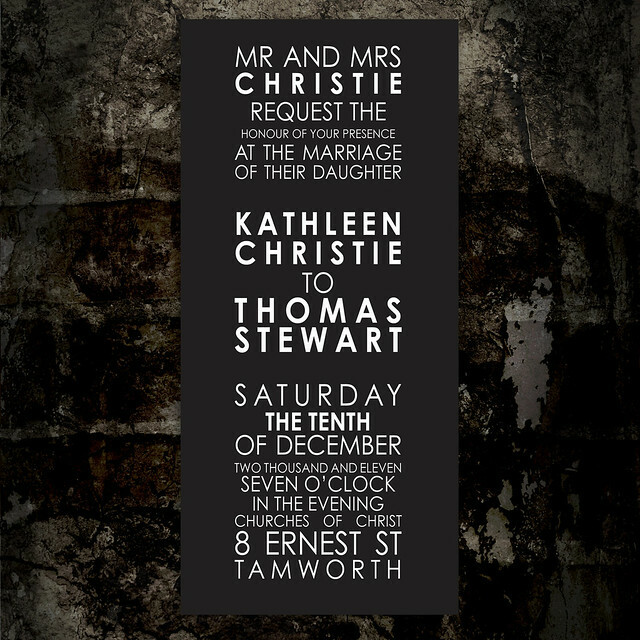 A great new trend, you might have seen these old fashioned station signs popping up in shops as wall decorations, so why not use the idea as a wedding invitation? Fun and unique. From the i do it yourself shop. Simply striped is our latest wedding collection, a classic design with smart stripes. 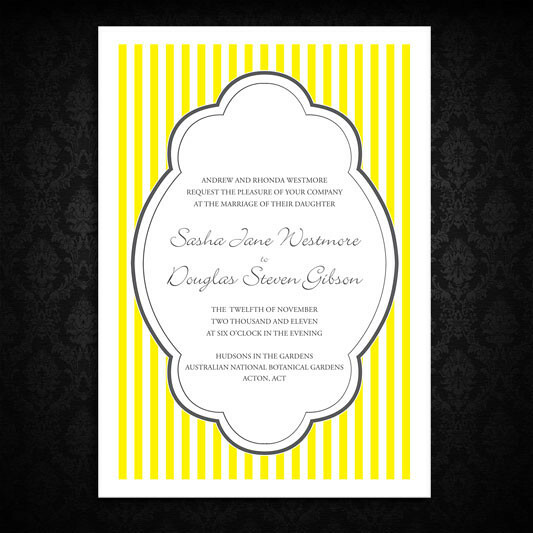 The range includes save the dates and invitations, thank you cards, wedding programs, menus and more. Shown here in yellow but available in any colour you like! Files start at $15 from the i do it yourself shop. And an oldie but a goodie! 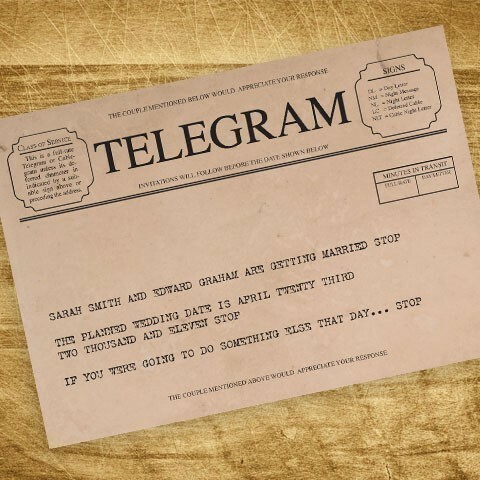 Our very popular vintage telegram save the date. And yes you can change the wording and use it as an invitation if you prefer! $20 from the i do it yourself shop.